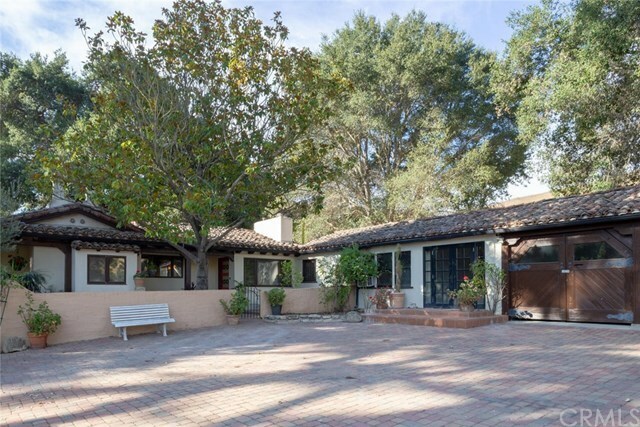 This historical hacienda home situated on 40+ acres takes you back in time to the original construction in 1932. Surrounded by majestic oak trees, rolling hills of the west side and the meandering roads through vineyards, you will find this classic beauty. The area calls to the vineyard enthusiast, the home calls for those who truly appreciate California's Spanish heritage. This home makes for a perfect lifestyle for those interested living the rural California ranch lifestyle with great opportunity for horses, llamas, sheep, etc. There is a barn, shop (quarters roughed in) pastures and arena as well as plenty of land to pasture the animals. The home offers 4 bedrooms, formal dining room and spacious kitchen. Combined sq.ftg. of home & pool house equates to nearly 4000 sq.ft.There was an addition in the 1960's and further upgrades throughout the history of this classic home. The in-ground pool, pool house and large patio for entertaining is surrounded by the home making for a private setting for gatherings. This is truly a classic property for those who appreciate history and super potential for growing crops. Located in the Willow Creek AVA makes this an excellent choice for those interested in growing grapes. Also forested land which will provide habitat to the wildlife and great walking trails. There are 2 separate APN's, which comprises approximately 42 acres total. Directions: Hwy 46 West from Hwy 101 to Oakdale Rd. Take right on Oakdale. At fork, stay left, property is on RHS.